Italian American Girl: I'm Italian and Yes, I Have Curly Hair. I'm Italian and Yes, I Have Curly Hair. So, you're probably asking right about now, why am I writing about curly hair? Just this week alone my blogs have been about politics and serious topics...well today I want to talk about curly hair. I get tons of emails all the time about yes, my hair. I have to say, I am very lucky to have super curly hair that's somewhat manageable. There was a time when I didn't know how to style it and always felt like odd girl out..while all my friends had their gorgeous straight hair. Growing up with curly, frizzy hair always made me feel like a bit of an outcast. During middle school, teasing and spraying hair was pretty big. I could never do that, because if I teased I ended up looking like a poodle who got electrocuted. It was hard. Then, in my later years in high school, I started to get the hang of it. It isn't till now, that I really love my hair and can style it with super products available for curly, ethnic hair. Yes, whether we like it or not, its "ethnic." If you research the curly hair characteristics and cultures of where people have curly hair, well..you guessed it..I'm in that percentile. I guess I am the owner of the fitting characteristics of a Southern Italian woman. To add to the curly hair, not only is it hard just to figure out what to do with it, but in a business world such I am in daily..its another job trying to figure out how to fit in with the business types without my hair going wild. My hair is usually pulled back and combed straight...just not to scare off people who can't handle my curly. Its a proven fact that perceptions of people with curly hair differ greatly in the sense that there is evidence of discrimination. I can second that. I find that people will treat you differently with curly as opposed to straight hair. I'm not looking for issues or things to look up, but I had someone ask me this morning...and it just grew into this discussion about curly hair. My shout out to all the Mediterraneans with Curly Hair.!!!! i am also a first generation italian and i LOVEEEEEE italian girls with curly hair!! growing up i always envied my mother's gorgeous, curly hair. still, she always (and still occasionally) complained about it. btw, teasing wasn't hard just for the curly-headed! i could never tease mine either due to its falling down flat as a pancake despite all the toxic hairsprays i put into it. thank goodness i don't need to do that anymore! Just found your blog -- I'm another 100% southerner although second-generation like so many others. I feel your pain about learning how to manage your hair. When I was a kid, it was straight and blonde or nothing, and there I was with this head full of unruly wavy-curly stuff that got wide instead of long. My brothers both have classic Italian afros, even kinkier than mine. Thankfully, the 80s brought about the short-n-big hair mania, and my hair could do that with barely any effort at all! Hi, thanks for the comment! 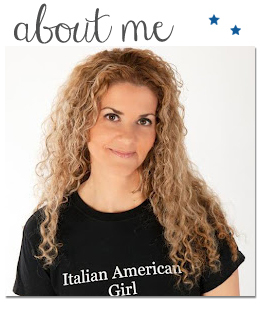 I hope you like my blog site and yes being Italian and having curly hair comes with the territory. Aren't we lucky!? I'd love your input on the Abruzzo earthquake, did you know or have direct connections to the earthquake and people? thanks for that, I am first generation Italian Canadian, and I am Calabrese descent, my hair is tight curled and people are shocked when I tell them I'm Italian. Why is it so hard for people to understand that Italian are ethnic? I am proud to be different, but I do get annoyed the people don't see me as being Italian. I have Blatalian hair . My hair is very short now, cuz I get the fade. Hi, just to inform you that curly hair is rare in Italy. Ever been here? Surely curly hair is NOT more common in Italy than any other European country. I do not see any link between your curly hair and the fact you are Italian. O_o You guys are crazy... Italians are ethnic? First it is nonsense, second curly hair is everywhere and it is no statement to anything. You guys are crazy. You'd better study and travel: parlate per dare aria alla bocca. Siete una vergogna. Pussa via GNURANT! You guys in America, although you might have some Italian blood, you really lose any connection to reality. Completely utterly disconnected from the reality, Italy in this case. Louise, thanks for your comments. My gel was discontinued... I'm online researching to find another that works and your blog came up. What do you use on your hair? I too am 100 % Italian with curly hair. I am very fortunate that my hair is manageable. I stumbled across a product called WEN that makes my curls perfect and shiny. Margaret, thanks for your post. Louise, tu sei disgraziata...non hai rispetta. I don't need Google translate to tell you what I think of you. I learned Italian from my father who was born, lived, and died, in Italy. Perhaps you fail to realize that I am too polite to tell you more strongly how I feel about your statements in this public forum. Some people have respect...you don't. And I'm very glad you don't represent all Italians. I am glad you are not Italian at all, like your "father". Hi, Im dominican from italian descendance (both my parents are italians and my grandparents and everybody out of my family tree)and I also have curly hair like yours, well actually a little bit more frizzy and my family is from Calabria Provincia di Cosenza (southern Italy). Here in the Dominican Republic they dont believe me when I say that my natural hair is that curly (they think I premed it) and they say "no way you are european you cant have the same hair as mine, im mulattoe!!" hehe and is a little bit funny when people dont believe we italians can have curly hair too! I am half Italian from my mother's side whose grandparent's came over from Southern Italy. My hair is thick, curly, and medium brown but I got my father's fair complexion and grey eyes. Every where I go, every day I have people tell me they love my hair (sigh). I also have people tell me I have black hair. I have type 3b curly hair. When its humid outside it's HUGE! My hair is my beauty I was told the other day by a vietnamese woman. She said no man would ever leave me with hair like that LOLOLOL. I do believe there are perceptions of people with curly hair both good and bad. I'm in my 40s and I wouldn't trade my hair for anyone else's in the world. Im half italian, half black and my hair is unexplainable it is curly and very hard to manager idk sometimes it is good and sometimes its really annoying do you nave any advice or would you mind letting me know what product you use for your hair? Thanks and absolutely love the topics you write a out and your blog itself! I have been trying to figure out where exactly my family is from in Italy. My dad said we are from a small town outside Milan. our hair looks exactly the same. I never thought to try ethnic styling products because I am only one eighth Italian. Whenever I tell someone they tell me they thought I was Irish! I don't have red hair! Well Im happy I came across this. Thanks for taking the time to talk about this, I feel strongly about it and really like mastering more on this subject. 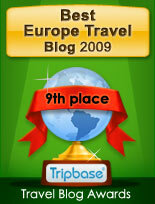 If feasible, as you acquire experience, would you mind updating your blog with much more information and facts? It is very helpful for me. Not rare! My whole family has nappy hair and we are italian. Ive been and theres plenty w curly hair. You must ask permission to reuse any original image from this site. How To Find An Italian American Girl or Guy For Dating! You must ask permission to use personal photographs. Grazie. 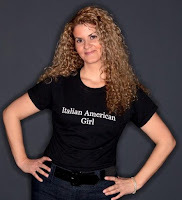 ItalianAmericanGirl.com-Italian American Girl- Copyright 2019 All rights reserved. You must ask permission for reuse of any personal image on this site. 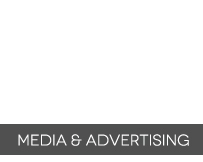 Any information presented on this site is for the sole purpose of being informational. We are not responsible for any third party links or products. Any views expressed on this blog are my sole opinion and are not to be used as advice or medical advice in any form. Copyright ItalianAmericanGirl 2013-2019. Powered by Blogger.